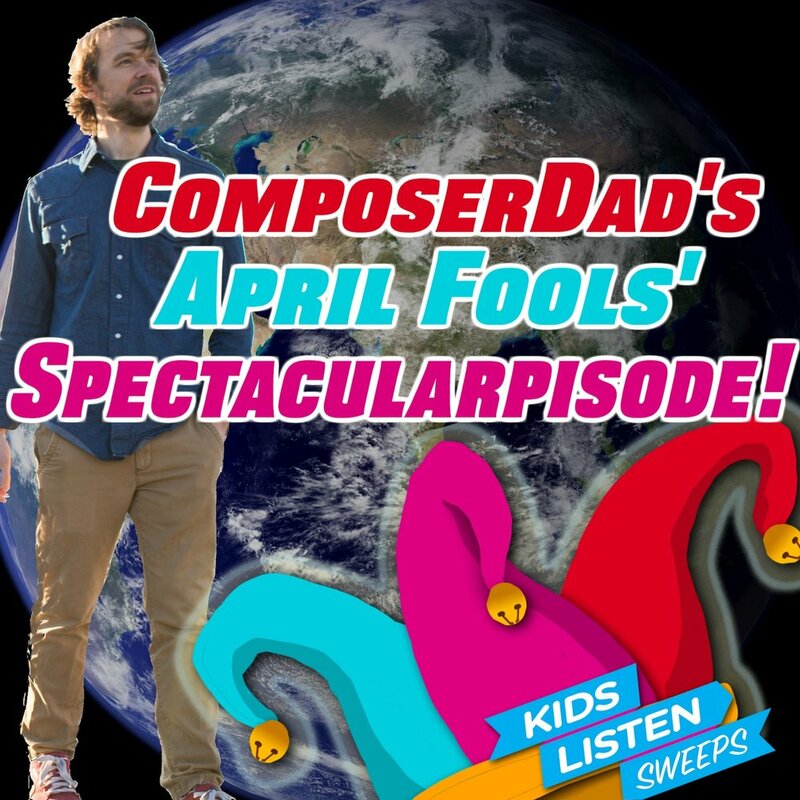 Welcome to a special ComposerDad April Fools’ Star-Studded Spectacularpisode! In this episode, ComposerDad collaborates with Pamela Rogers of the fabulous wordplay podcast Buttons & Figs to co-write a new alphabet song! Actually it’s even crazier than that. This was an intense compositional challenge issued by a bunch of ALIENS from Buttons & Figs wild “War of the Fools” April fools episode. If you are alien or earthling tired of the typical order of the alphabet, Pamela and my new Alphabet song is for you! Also on this episode, meet Mike Mason and his show Good Stuff Kids Podcast, where listeners get to go behind the scenes with the creators of bonafide good stuff for kids. On our April Fools Spectacularpisode, we hear Mike Interview Mr. Eric from What If World, who reveals the melt-your-heart story behind how he got the idea for his kids podcast. Oh, and you’ll also hear from Mick Sullivan, host of the Past & the Curious, who wrote the book, The Meatshower! ComposerDad and all of the shows you’ll meet on this episode are part of Kids Listen, your home for amazing, sensitive, kind, smart, funny, and fun kids and family podcasts. Grownups , would you like to encourage more ComposerDad podcast episodes? Become a ComposerDad patron at www.patreon.com/composerdad and you could even issue your own intense compositional challenge! Don’t forget to subscribe on your podcast app and leave a review so more people can find the show. Thanks! Sign up to enjoy original music, videos, and adventure stories made for creative families.